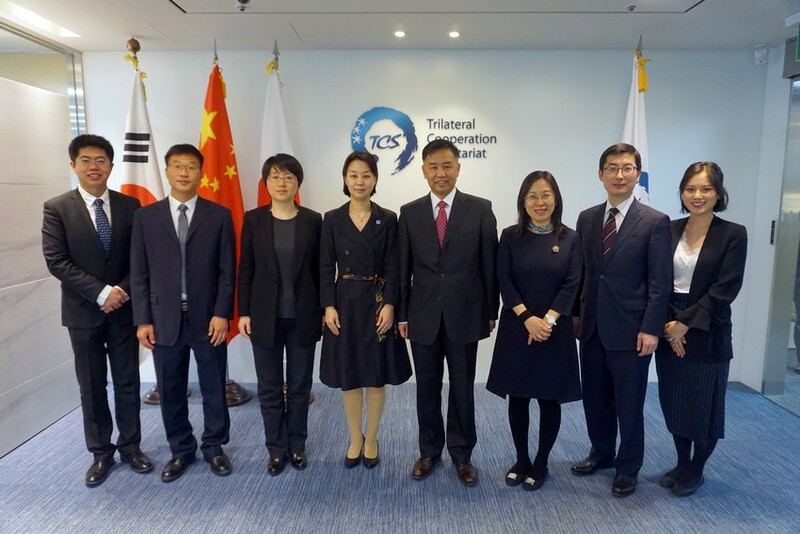 ​On April 12, 2019, the delegation from China National Intellectual Property Administration (CNIPA) headed by Deputy Commissioner GAN Shaoning visited the TCS. Deputy Secretary-General HAN Mei held meeting with the delegation. Deputy Secretary-General HAN Mei introduced the TCS and TCS’s participation in the Intellectual Property Rights (IPR) mechanism. 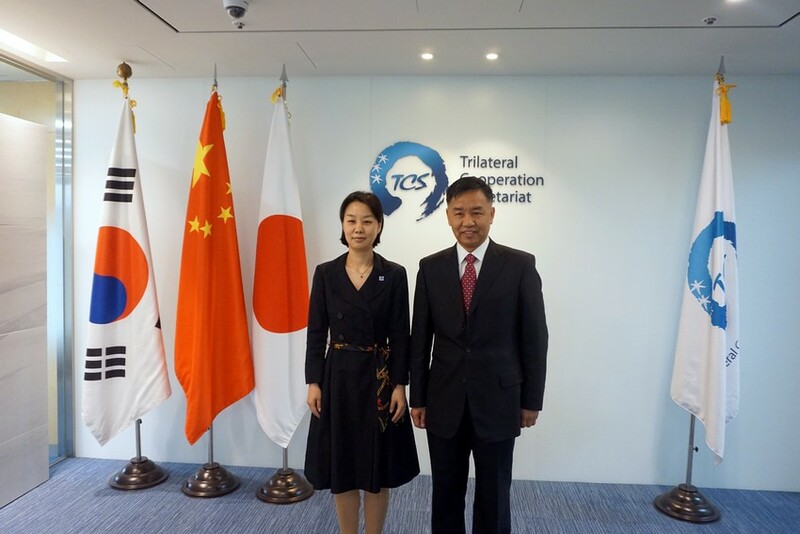 She expressed TCS’s willingness to further support the development of IPR cooperation among China, Japan and Korea. She proposed several initiatives to deepen the current cooperation as well as to commemorate the 20th anniversary of the IPR mechanism in the next year. Deputy Commissioner GAN Shaoning expressed his appreciation to TCS’s support and welcomed TCS’s initiatives. He also pointed out that IPR is vastly developing in the three countries and there are many achievements needed to be shared to raise the public awareness, where the TCS can play an important role to support three countries’ cooperation.